This post is going to run through the Dual Momentum rules and apply them to a hypothetical portfolio. That portfolio will be tracked here on Robotic Investing. Dual Momentum is the granddaddy of momentum investment systems. Gary Antonacci’s book, “Dual Momentum Investing: An Innovative Strategy for Higher Returns with Lower Risk” is an easy to follow strategy that can provide stronger performance with less volatility. Dual momentum gets its name from the two types of momentum that the system uses. The first type of momentum is absolute momentum. Absolute momentum compares the return of an asset to its own performance. If that is a bit confusing think of it this way. Absolute momentum does not compare momentum of an asset with another asset. Instead it tells you the strength and direction of an assets momentum. If the absolute momentum is positive, then the trend is up. If absolute momentum is negative, the trend is down. The second type of momentum is relative momentum. Relative momentum compares the return of one asset to another. The asset with the higher momentum has a better trend and is a better investment. An investor chooses the asset that has been outperforming on a relative basis in the hope that the out performance will continue. The specific Dual Momentum rules that Antonacci takes about in his book is Global Equity Momentum (GEM). With this strategy, the investor holds one asset at a time. The choice of assets are the S&P 500, the ACWI exuding U.S. index, or Aggregate Bonds. The S&P 500 is self-explanatory. The ACWI ex-US index captures large and mid cap stocks across 22 of 23 developed countries (excluding the US) and 24 Emerging Markets countries. This index cover 85% of the world’s stock markets, excluding the U.S. The obvious benefits are that the investor gets access to global markets that may be performing better than the U.S. market at any time. The third asset choice is Aggregate Bonds. Aggregate bonds provide exposure to both government bonds and corporate bonds, representing the total bond market . The Dual Momentum rules are simple. Depending on the momentum of the S&P 500, the ACWI ex-US, and aggregate bonds, the investor is in one of the three at any one time. In other words, you only hold one asset at a time. 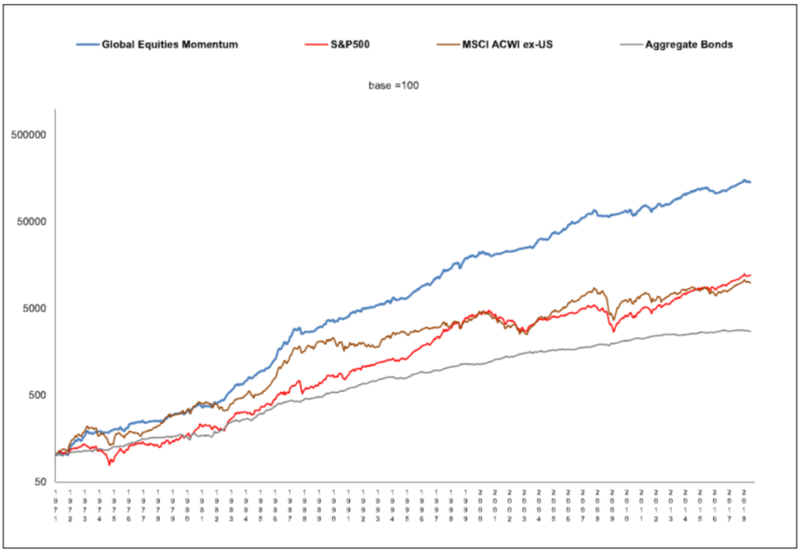 We first compare the S&P 500 to the ACWI ex-U.S. over the past year and select whichever one has performed better. We then check to see if our selected index has done better than U.S. Treasury bills. If it has, we invest in that index. If it has not, we invest instead in U.S. aggregate bonds. We repeat this procedure every month. My personality is especially suited to a rules-based investing system like Dual Momentum. With the rules as clear cut as they are, there is no room for interpretation of “gut feel”. The previous 12-month returns tell you which equity market is the strongest, and if that equity market has performed better than t-bills, you buy it and hold it for a month. The next month you run the process again, and if the strongest market has changed you change things up. If not, you stay the course. Zero room for emotion, zero room for interpretation. The dual momentum rules stipulate that your portfolio holds one asset type at a time. 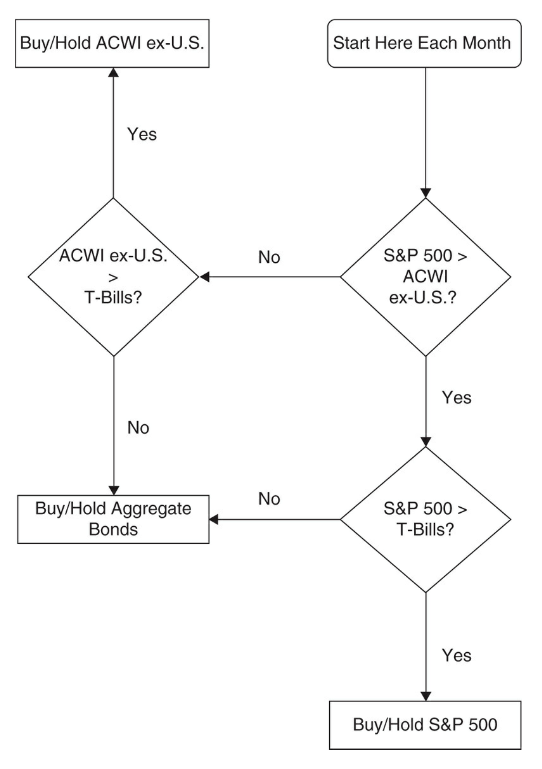 That is either the S&P 500, the ACWI ex U.S. or aggregate bonds. Antonacci provides specific assets to own in the book, but I use slightly different choices. For the S&P 500 my choice is SPY. ACWI ex-U.S. is a little tougher, however many people choose VEU. 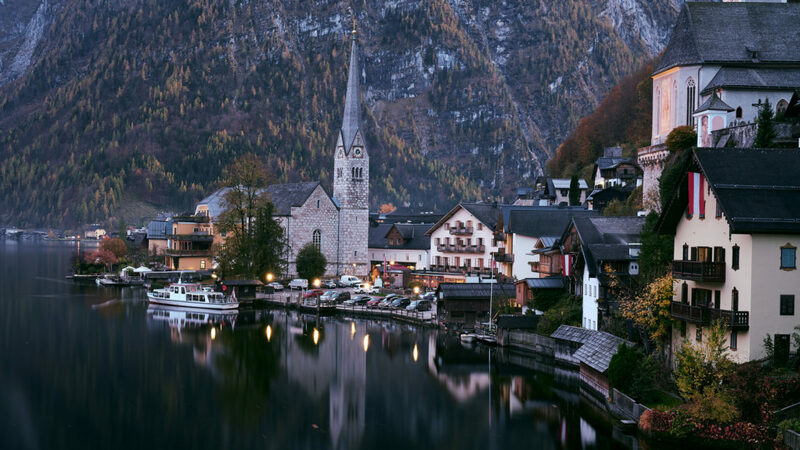 VEU is the Vanguard FTSE All-World ex-US ETF and provides broad exposure across both developed and emerging non-U.S. equity markets around the world. For aggregate bonds, the easiest choice is BND or the Vanguard Total Bond Market ETF. The fund provides cheap exposure to U.S. investment grade bonds. When comparing the equity ETFs returns to t-bills, an ETF to use is BIL. BIL is the SPDR Lehman 1-3 Month T Bill ETF that corresponds generally to the price and yield performance of the Bloomberg Barclays 1-3 Month U.S. Treasury Bill Index. The Dual Momentum rules includes four ETFs. Three of them are meant for investment, and the other is meant for comparison only. The three meant for investment are SPY, VEU, and BND. The ETF meant for comparison is BIL. Compare that ETF to the returns of BIL. If it has performed better than BIL, the buy the equity fund. If BIL has performed better, then buy BND. There is a lot of available research on the Dual Momentum rules on the internet. Here are a few, including the book which I strongly recommend you read. Even if you don’t intent on using the rules-based system, you will learn more about momentum and it benefits. There are lots of research and backtest results available in the book and online. A number of people have tried to improve on the research and developed alternative systems. You can even get the results from Antonacci himself on this page. Here is the most recent performance graph at the time of this writing. However, I also like to run my own backtest to see how things do when compared to a traditional 60/40 portfolio. 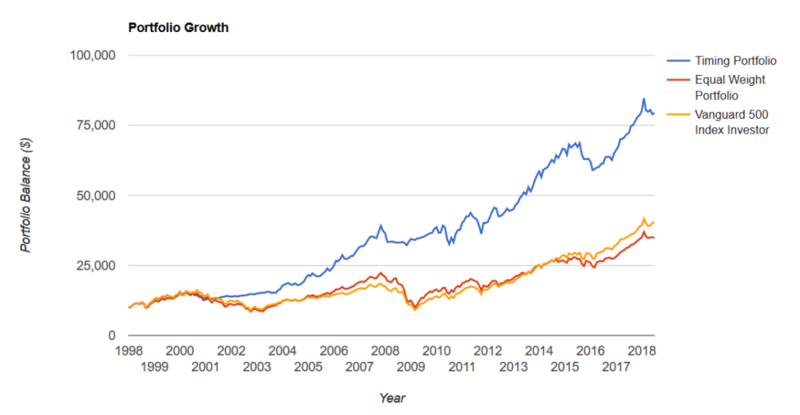 With a better Sharpe ratio, stronger compound annual growth rate, and much lower drawdown, this rules-based investment strategy is worth considering. I track real-world implementation of this version of the Dual Momentum system. To see how the portfolio performs in real-time and the real world, check out all the blog posts tagged with Dual Momentum Strategy category (see sidebar).